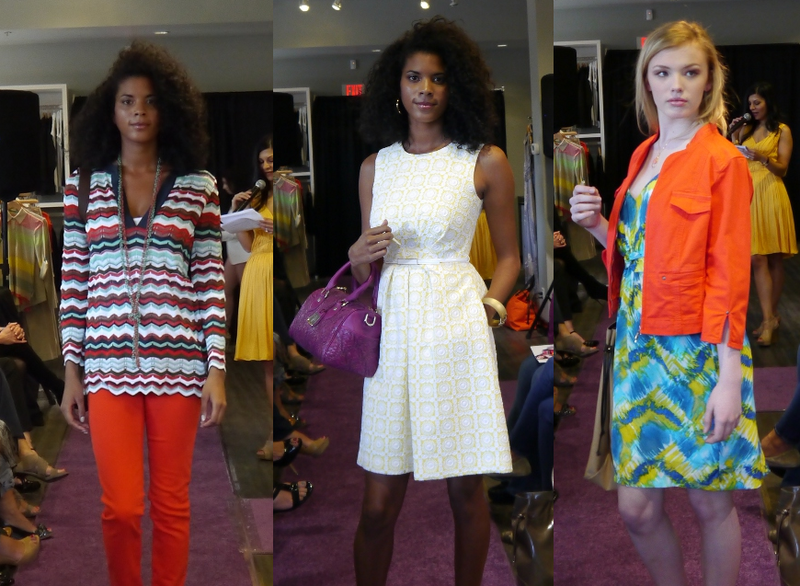 While The Real Housewives of Vancouver were probably getting their drama on for reality television, some of Vancouver's other well-to-do ladies of leisure joined Wear Else at their Park Royal location for a spring/summer 2012 fashion show several weeks ago. The store's devoted clientele staked out front-row seats next to the purple runway by leaving their designer handbags behind as they mingled, sipped champagne and enjoyed canapés. Hosted by president Zahra Mamdani, the event was a showcase of the latest offerings available from the Vancouver-based retailer. Pieces from the likes of Alice + Olivia, Missoni, Pink Tartan, and Catherine Malandrino were featured alongside local labels like Jacqueline Conoir and Jason Matlo. The big trend for this season? Colour, colour, colour. Whether in the form of a jewel-toned dress or a brightly patterned tunic top, this is clearly the time to add something vibrant to our closets full of neutrals. Although some of the looks were intended for more mature tastes, there were quite a few cute pieces that could integrate easily into the average twentysomething's wardrobe. Visit Wear Else at their Park Royal, Oakridge, or West 4th locations or shop online. I love all the orange!